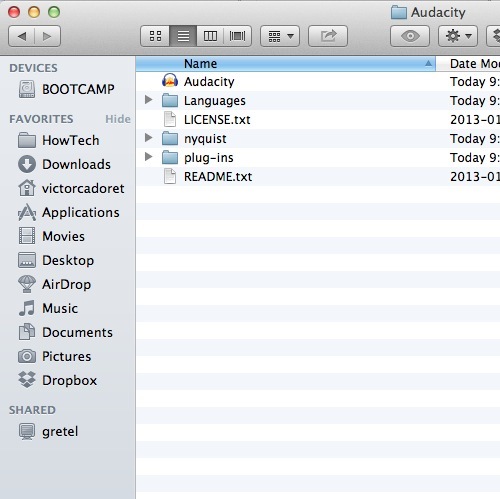 Let’s look at how to download and install the popular audio editor Audacity. 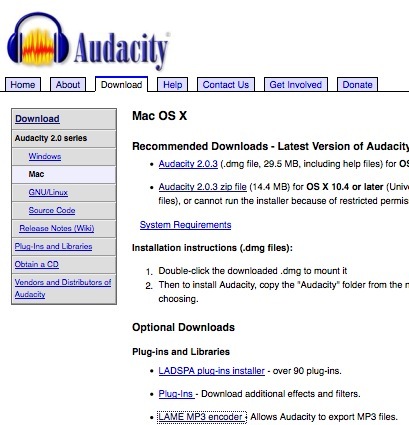 Visit the Audacity website either by searching on your favorite search engine, or directly to audacity.sourceforge.com. 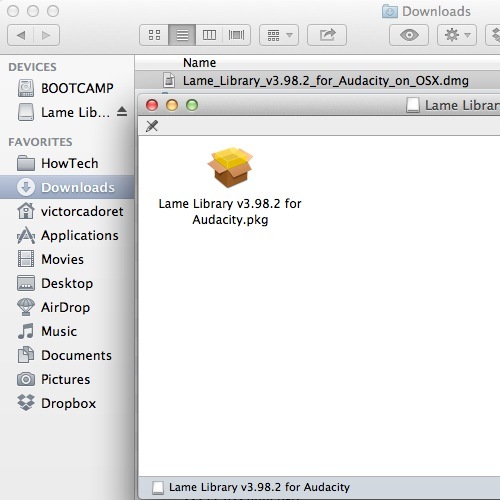 Click on the ‘Download’ link, and then select ‘Audacity for Mac’. Here you can download either the disk image file or a zip file which will download faster since it is a smaller size. Once the download is complete, either open the disk image or the zip file depending on which you downloaded, and locate the ‘Audacity’. Move this file (the application in itself) to your Applications folder by clicking and dragging. Audacity becomes much more useful with the addition of plug-ins. Head to the same website where we downloaded the app and again on the ‘Download’ page for Mac OSX you will find the ‘Optional downloads’. I will use the ‘LAME MP3 encoder as an example. Clicking on the link, you will be presented with the installation instructions. First head to the link indicated to download the plug-in. I am looking for version 3.98.2, which I will click to download. Once downloaded and mounted, simply double-click the .pkg and follow the installation instructions. Once completed you will be able to export MP3’s from Audacity. Leave a comment below or contact us by email. This was a HowTech.tv tutorial. Thanks for watching!